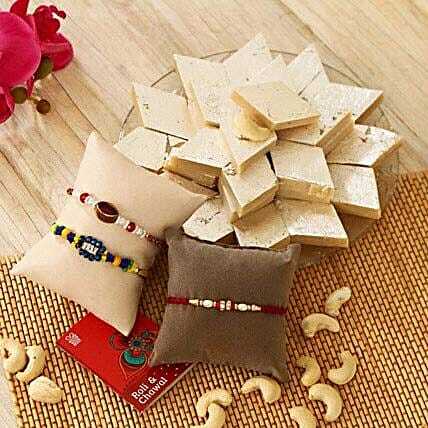 Treat your family of three brothers who have always been protective and emotional about you with this beautiful three designer beads rakhis and a tray of Kaju Barfis. They would be more than happy with your thoughtful gift and we assure you a timely delivery. Please Note :- Selected rakhi may vary based on availability.